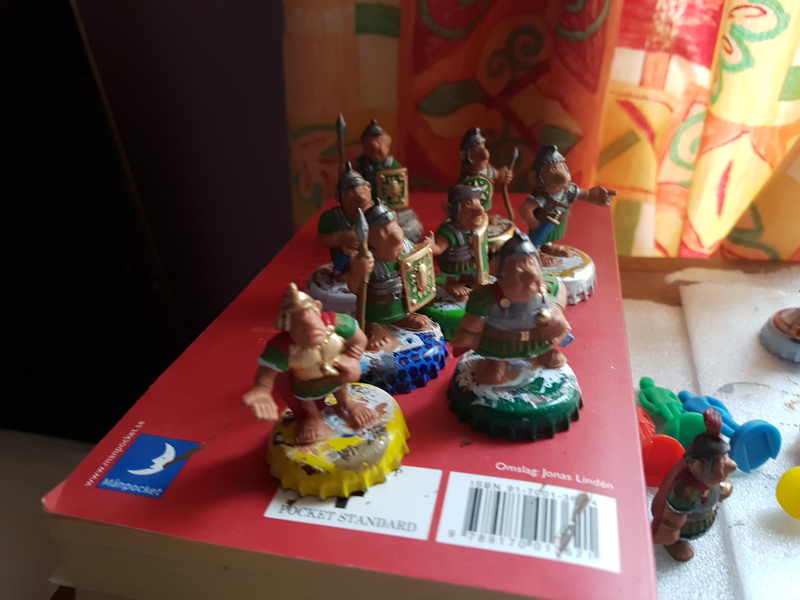 Okay, I've got some Asterix Romans from Remco and Paul (BB). Very fun to paint these. Could be that not all of them were supposed to be Romans, but now they are. A lot of small work left to do, then I can continue with some Gauls and othe stuff. 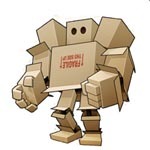 They look like a mighty fine body of fighting men! (at least until those pesky Gauls turn up). The faces need a bit extra but the armour and shields look great. Always good to see these fun figures. I like those Egyptian, euh Roman soldiers! Great fun Gunnar! Thanks! I think some of them will already have met some Gauls when I'm finished with them. Ah, they were Egyptians??? Not anymore! Cleo, will not be pleased Gunnar. What have the Romans ever done for us??? 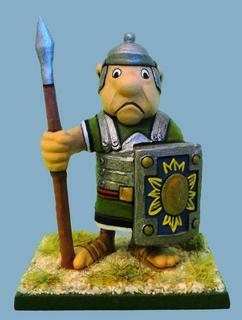 It's always a pleasure to see more of these Asterix figures painted, even more if they are those "crazy Romans". Great work on them, Susofrick. They should encourage me to provide some company to my lonely Roman legionary. Thanks! Very nice figure, Santi! I think my figures met some gauls.